Dresscode is researching how different identity groups are showing their identity in their choise of clothing. 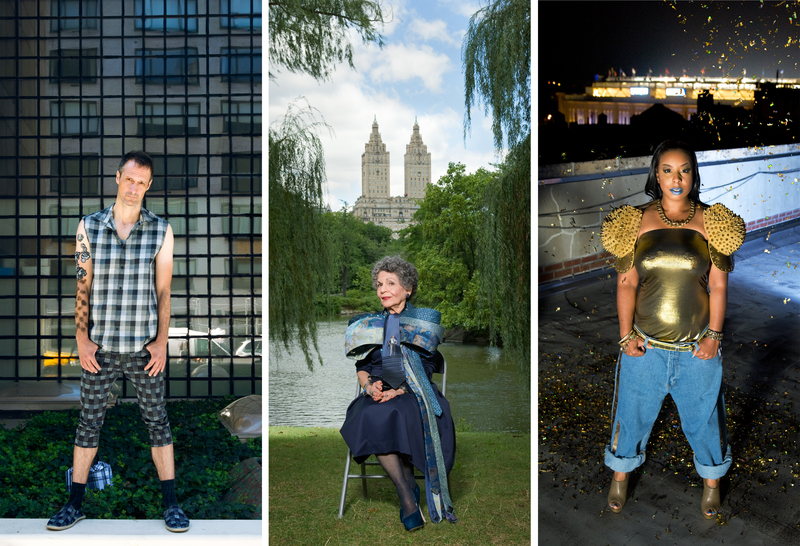 The artists photographed and intervieved people in three different spots in New York and made three fashion photographs based on the ansvers. Fashion Interactions is a multidisciplinary exhibition that explores fashion culture by means of contemporary art, design and media. The exhibited works comment on the unsustainability of the fashion industry, analyze the relationship of fashion and corporeality, and investigate how people use clothes as tools for building their identities. Presenting works from: Federico Cabrera, Heidi Lunabba, Jasmin Mishima, Anna Mustonen, Nutty Tarts, Timo Rissanen, Salla Salin, Heidi Soidinsalo, Saara Töyrylä, Timo Wright.